Your face, O Lord, do I seek. Different words are used by different people, of course. Pursuing God, desiring God, knowing God, experiencing God, loving God. Being filled with the Spirit, walking in the Spirit. Being at one with our Creator, touching the transcendent, sensing the divine. Different words are used by different people, both Christians and others. But they all reflect the same longing: there is a spiritual dimension to being human. There is something within us that craves something beyond us. This longing to experience God, to “seek God’s face,” comes through in different ways throughout the biblical stories. In Genesis 3 God walks with Adam and Eve in the garden in the cool of the day—until that fateful day when sin enters the story, and they hide from the Lord God. They are ashamed because of their selfish, prideful actions, and they no longer want to see God’s face. 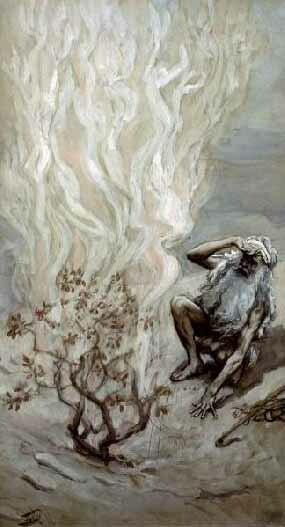 In Exodus 33 Moses asks to see Yahweh’s divine glory. God allows Moses to see a measure of his glory, but God says to him, “you cannot see my face; for no one shall see me and live.” Even that measure of divine glory, that glimpse of Yahweh’s back, is enough to make Moses glow with the radiance of his experience of God. In Isaiah 6 Isaiah sees a vision in the temple: the Lord God, sitting on a throne, high and lofty, surrounded by heavenly beings. Really, though, Isaiah can only see God’s feet: God’s face is too high, too holy, too transcendent, too far beyond for anyone to see. 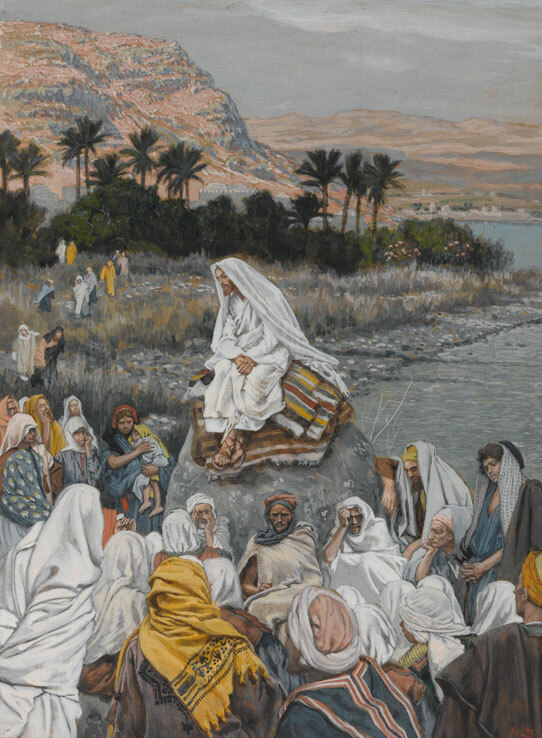 Each of these Old Testament stories, and many others besides, point to this “something within us that craves something beyond us,” this human longing to know God, to touch the transcendent, to sense the divine. Yet the people in each of these stories never quite get there. They get a taste of God, a fleeting glimpse, or they hide from God or put God behind all kinds of protective barriers. There is a profound shift that happens in the New Testament with all this: yes, there is still something within us that craves something beyond us—but that something beyond us has now come among us. We no longer need to search desperately for the face of God—because God has already shown his face, and it’s the face of Jesus. This is what’s behind John’s words in John 1: “The Word became flesh and lived among us, and we have seen his glory…full of grace and truth… No one has ever seen God. It is God the only Son, who is close to the Father’s heart, who has made him known.” God has shown her face, and it’s the face of Jesus. This is what’s behind Paul’s words in Colossians 1 and 2: Christ “is the image of the invisible God”; “in him the whole fullness of deity dwells bodily.” God has shown his face, and it’s the face of Jesus. This is what’s behind the anonymous author of Hebrews words in Hebrews 1: “In these last days God has spoken to us by a Son… He is the reflection of God’s glory and the exact imprint of God’s very being.” God has shown her face, and it’s the face of Jesus. 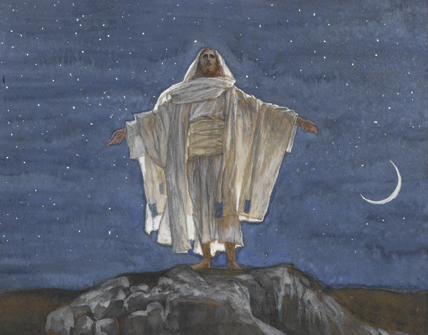 From Matthew to Revelation, the New Testament writings are united in the conviction that the man Jesus of Nazareth shows us the God of Israel. The man Jesus, who lived a certain way and taught certain things, who healed the sick and forgave sinners and cast out evil powers, who suffered and died and was raised to life again—this man Jesus shows us who God is. God has shown God’s face, and it’s the face of Jesus. So to “seek God’s face” we need to seek the face of Jesus. How do we do this? How can we, two thousand years after Jesus walked this earth, see Jesus, and so see the face of God? As the Bible itself acknowledges, we can no longer see Jesus in the flesh (John 20:29; 1 Peter 1:8). But we can still see the imprint of Jesus, we can still discern the Spirit of Jesus. How do we do this? Well, we can read the Bible’s stories of Jesus, the Gospels. Read Matthew, or Mark, or Luke, or John. And as you read, ask yourself some questions. What does this tell me about Jesus? What does this tell me about Jesus’ character, his desires, his motivation, his way of thinking, his way of life? And so, then, what does this tell me about God, who God is, how God relates to us? The character of Jesus is the character of God. The desires of Jesus are God’s desires. The things that motivate Jesus to speak or act, those are the things that motivate God. How does Jesus think? That’s a window into how God thinks. How does Jesus live his life? That’s a parallel to how God acts in the world. And then, what does this tell me about who I am, who I can become? No, we are not God, we cannot be God. But we are all created in God’s image, we can reflect God in all these ways. So the character of Jesus shows us the character we should seek to develop ourselves. The desires of Jesus show us what we should desire. The things that motivate Jesus to speak or act, those are the things that should motivate us. How does Jesus think? That’s a pattern for how we should think. How does Jesus live his life? That’s a model for how we should seek to live our lives in our world today. So we can see the face of God in Jesus by reading the Bible’s stories of Jesus. But we can also read Jesus’ Bible, our Old Testament. Read Genesis, or Deuteronomy, or the Psalms, or Isaiah, or Daniel, or Amos. Read any Old Testament book—but read it in the light of Jesus. So ask yourself: How does this particular passage parallel Jesus’ character, his desires, his motivation, his way of thinking, his way of life? How do I see the God revealed in Jesus, here in this Old Testament book? Then re-read the Bible’s stories of Jesus. Go back and do it all again. We can read the letters and other writings of Jesus’ first followers, our New Testament. Read Acts, or Romans, or 1 Corinthians, or Ephesians, or Philippians, or Hebrews, or James, or 1 John, or Revelation. And ask yourself: How does this particular passage describe Jesus? How does this New Testament book take the character and attitudes and life and death and resurrection of Jesus, and apply it to the specific situation of these early Christians and their world? We can think about Jesus, ponder his way of life, mull over his teachings, contemplate his sufferings, revel in his resurrection. We can gather together with other Christians and consider Jesus together, honour Jesus together, cry out to Jesus together, bow down to Jesus together. Then re-read the Bible’s stories of Jesus. We can talk about Jesus. Read well-researched books about Jesus. Watch time-tested films about Jesus. Study classic paintings of Jesus. We can see how other people have envisioned the man from Galilee. We can look for Jesus in other people. The poor, the stranger, the suffering. The merciful, the gentle, the steadfast, the kind. We can look for Jesus in ourselves. In our own hardships and sorrows, in our own moments of joy and delight, in our own sometimes-surprising feelings of empathy and compassion and forgiveness. We can see the imprint of Jesus, the Spirit of Jesus, in lots of different places, and so see God’s face. But we see Jesus most clearly, most completely, in the stories and teachings of Scripture. Indeed, this is what the Bible is for. The Bible is not an encyclopedia of all truth—though it speaks the truth we most need to hear. It is not a comprehensive moral handbook—though it gives us guidance on how to live. No, the Bible is first and foremost a witness to Jesus. We read the Bible to see Jesus. And then, as we learn about Jesus from the Bible, we can learn to see Jesus in other places. And when we see Jesus, we see who God is, and we see who we can become as those created in God’s image. Let me leave you with two Bible verses to ponder. 2 Corinthians 3:18 says that as we “see the glory of the Lord as though reflected in a mirror, we are being transformed into the same image from one degree of glory to another.” Paul is talking about looking to Jesus, seeing God’s glory in Jesus, and being transformed in the process, being re-made in the image of God in Jesus. That’s just what I’ve been talking about: seeing Jesus, and so seeing God, and so seeing who we can become as those created in God’s image. But you’ll notice the little phrase, “as though reflected in a mirror.” It’s an acknowledgment that we don’t see Jesus face to face. Even in looking to Scripture to see Jesus, even in carefully discerning the imprint of Jesus, the Spirit of Jesus, diligently seeking Jesus’ face in all the ways I’ve talked about, it is still only like seeing a reflection of Jesus in a mirror. There is something within us that craves something beyond us—and that something beyond us has now come among us in Jesus. God has shown his face, and it’s the face of Jesus. For now, we see Jesus’ face by looking for his imprint in the Scriptures, by looking for his Spirit in his followers and in the world. But one day—one day!—we will see Jesus face to face. And then our craving for something beyond us—the transcendent, the divine, the presence of God—will be fulfilled. Then our quest to seek God’s face will finally be at an end—an end which will be just the beginning of a new and even better story “which goes on forever: in which every chapter is better than the one before” (C. S. Lewis, The Last Battle).